We are continuously and actively working to ensure world hunger is eradicated by 2030. View our distribution report here to see how we are making this possible! 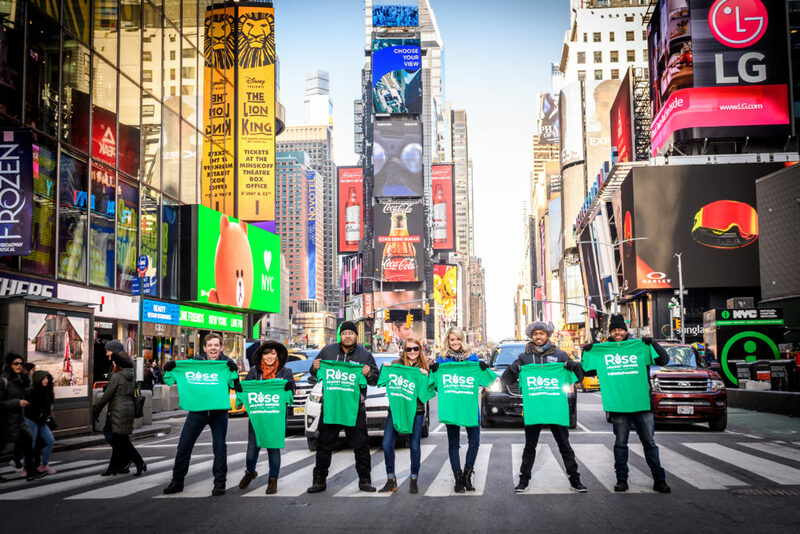 In the heart of New York City’s Times Square on Sunday, February 18, the Rise Against Hunger team launched our This is possible. campaign, spreading the word that we can eradicate world hunger in just 12 years. Read more on the campaign and sign our pledge to end hunger here. Hunger and poor-quality education are no doubt interlinked, and continue to plague children across the globe. That’s why at Rise Against Hunger, we actively seek to nurture and nourish the generation of tomorrow by changing their world today. We do this the best way we know how – providing substantial meals. Most children from low-income families go to school hungry, which in turn, hurts their performance in school. Going hungry does not always means the same thing to everyone. For some, there may be no food in the house and no money to buy any. Maybe there is food in the house, but not enough to feed all members of the family. Whatever the situation, more often than not, kids who don’t have continuous access to three healthy meals a day are much more likely to face unhealthy, unsuccessful and uncertain futures. Rise Against Hunger meals are provided in schools to encourage increased enrolment and attendance. Our uniquely designed meals provide a comprehensive array of micronutrients, including enriched rice, soy protein, dried vegetables and 23 essential vitamins and nutrients. Supplying students with these regular meals means that they are provided with the necessary energy to perform. When students are no longer hungry, they are able to concentrate and succeed academically, opening doors for future opportunities. Our meals are so much more than just meals, they give children peace of mind. With access to food every day, children become less concerned about where their next meal is coming from, and instead, focus on their education and bettering their futures. Every 10 seconds a child dies from hunger, with poor nutrition identified as the underlying cause of death. Poor nutrition is responsible for nearly half of all deaths in children under the age of 5 and each year about 3 million children die due to the fact that their bodies just don’t have enough of the basic nutrients they require to function and grow. Good nutrition, particularly in the first five years of life, is important in establishing a good foundation. This foundation has implications for a child’s future physical and mental health, academic achievement and economic productivity. Food insecurity threatens that critical foundation. Toddlers who eat poorly in their primary years are more likely to develop long-term health problems and complications. Providing growing toddlers with a healthy balanced diet is essential in optimising their physical and cognitive development, while reducing the risk of chronic disease later in life. “At Rise Against Hunger we know childhood is a time of critical growth, a period when proper nutrition is absolutely necessary. A daily meal can set the foundation for which a child can grow up with aspirations and hope”. Saira Khan, CEO, Rise Against Hunger Africa. When you volunteer or make a donation to Rise Against Hunger, you’ll help change the future for growing children around the globe. LET’S SET THE RIGHT FOUNDATION. Rise Against Hunger Africa’s commitment to you, our stakeholders, partners and beneficiaries is to ensure that appropriate governance structures exist that support best practice when it comes to Nutrition and Hunger Eradication in South Africa. It is also to ensure that we engage our resources in a transparent and cost effective manner that ensures food sustainability and it utilized for the purpose it was intended for and in the best interest of our beneficiaries whom we support. ECD’s in our programme in the Western Cape. Thanks to our partnership with PMB Community Chest and other Durban based donors, we were also able to increase the number of children we feed in the KwaZulu Natal area. We are currently in talks with various organisations to increase the number of partnerships we have, which will not only assist us in packing more meals, but assist us in reaching more beneficiaries. This year Stop Hunger Now will open a new branch in the Eastern Cape. The branch, which will be situated in East London will be opened before July 2017. SAB has released an 8 pack of iconic African beer from different countries across Africa. 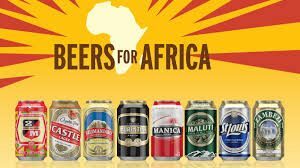 They hope to export to global markets so consumers as far afield as the United States and China can enjoy these unique African beers. As part of this new release the breweries have decided to team up with ‘Rise Against Hunger Africa’. This is to make sure that students are being fed. They hope to raise enough to have reached 1 million meals by 2018. Rise Against Hunger Africa is an international, non-governmental organisation which packs and distributes meals to people living in poverty. For every beer pack sold, three students will receive a nutritious, wholesome meal. This year, Rise Against Hunger Africa will be part of the Global Movement to Eradicate Hunger on the First International Mandela Day. 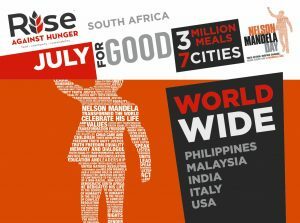 Further, in order to live the legacy, Rise Against Hunger Africa will be hosting Meal Packaging Events from the 13 July to the 19 July 2016 across 7 cities in South Africa. 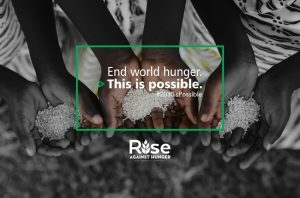 The theme “Follow the Sun” will see the first meal packing event commence in the East with Rise Against Hunger Malaysia and end in the West with Rise Against Hunger US. Rise Against Hunger Africa is once again proud to host Meal Packing Events around the country in celebration of the legacy of Nelson Mandela. These events are aimed at Corporates who want to give their employee’s volunteering opportunities to make a difference for 67 minutes during the month of July. Events will be held in Johannesburg, Cape Town, Durban, Port Elizabeth, East London, Pretoria and Pietermaritzburg. Corporates wanting to participate will send a team of 20 volunteers to their preferred venue to pack meals for 67 minutes. These events are fun, rewarding, suitable for all staff and the result of your 67 minutes makes a huge difference in a child’s life. Each team will pack around 3 200 meals in their time slot which will feed up to 15 children, 5 meals a week for an entire year. To enter a team in this year’s Mandela Day events, please contact us for a registration form. The cost per team is only R12 000.00. We are fully accredited to issue your company a Section 18A certificate for your donation.